An NFL player has promised to pay for the funerals of all 10 victims who died when a teenage gunman burst into an art class and opened fire at his Texas school. Students said Dimitrios Pagourtzis, a 17-year-old student at Santa Fe High School, unleashed a barrage of bullets on Friday after running into a classroom armed with a shotgun and pistol. The mass shooting became the latest in a long line of fatal attacks on campuses in the US. 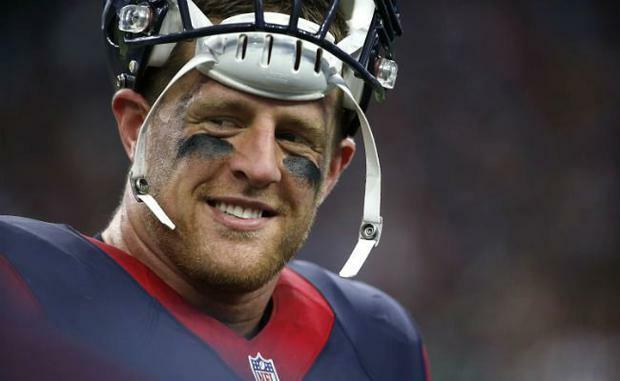 On Friday evening, NFL side the Houston Texans confirmed star player JJ Watt would pay for the funerals of the dead. Shortly after the shooting, Watt tweeted: “Absolutely horrific”. Last year Watt launched a fundraiser which raised more than $37 million (£24m) for those affected by flooding from Hurricane Harvey. Only weeks ago, a dozen students from Santa Fe High School offered support for survivors of the Parkland, Florida, school shooting by taking part in a nationwide walkout seeking stricter gun control. On Friday, it was Parkland students who declared their solidarity with teens in Santa Fe. It was the nation's deadliest such attack since the Florida massacre that killed 17 and energized the teenage-led gun-control movement. Student Kyle Harris, who took part in the walkout last month, was in first period when a fire alarm went off. Then he heard teachers urging him to flee. "The scariest thing is hearing a teacher who knows your name personally call you by your name and tell you to run," Mr Harris tweeted. The suspected shooter, who was in custody on murder charges, also had explosive devices that were found in the school and nearby, said Greg Abbott, governor of Texas. Investigators offered no motive. In a probable-cause affidavit, they said the suspect admitted to the shooting. The deaths were all but certain to reignite the debate over gun regulations, coming just three months after the Florida attack. Another 10 people were wounded at the school in Santa Fe, a city of about 13,000 people roughly 30 miles southeast of Houston, the governor said. The wounded included a school police officer shot in the arm who was the first to confront the suspect. Mr Muehe told The New York Times that a student he knew from football was armed with a shotgun and was wearing a shirt emblazoned with the slogan "Born to Kill." Students were led to take cover behind a car shop across the street from the school. Some still did not feel safe and began jumping the fence behind the shop to run even farther away, Mr Farina said. The gunman yelled "Surprise" before he started shooting, according to Texas congressman Michael McCaul, the chairman of the House Homeland Security Committee. The suspect appeared to have no prior arrests or confrontations with law enforcement. Mr Pagourtzis made his initial court appearance Friday by video link from the Galveston County Jail. A judge denied bond and took his application for a court-appointed attorney. Mr McCaul, a former federal prosecutor, said he expects the Justice Department to pursue additional charges, possibly involving weapons of mass destruction. Mr Pagourtzis played on the junior varsity football team and was a member of a dance squad with a local Greek Orthodox church. Acquaintances described him as quiet and unassuming, an avid video game player who routinely wore a black trench coat and black boots to class. The suspect obtained the shotgun and a .38-caliber handgun from his father, who owned them legally, Mr Abbott said. It was not clear whether the father knew his son had taken them. Investigators were determining whether the shotgun's shortened barrel was legal, Texas senator John Cornyn said.